Edinburg City Secretary Myra Garza is seen in her office in June 2017 in Edinburg. EDINBURG — Staffing changes continue here. Earlier this week, the Edinburg City Council said goodbye to City Secretary Myra Garza after she accepted a position with the Edinburg Economic Development Corporation. Garza’s role with the EDC remains unclear. She declined to comment until after meeting with the EDC’s new executive director, Joey Treviño. Treviño, a former Harlingen city commissioner, is expected to begin work on Monday after the EDC board named him executive director last week following a round of terminations for four of the EDC’s former staff members. 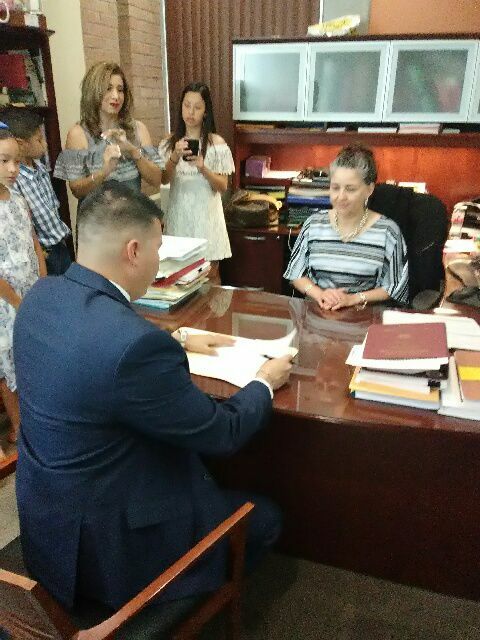 On Tuesday, Edinburg council members appointed Ludivina Leal to the vacant city secretary position. They did not offer details about Leal during the meeting. The following day, the city’s public information director, Irma Garza, was terminated. Edinburg City Manager Richard Hinojosa declined to give details about the decision. Garza, who could not be reached for comment, held that position since at least 2011, according to Monitor archives. Hinojosa indicated the vacant position would soon be advertised.